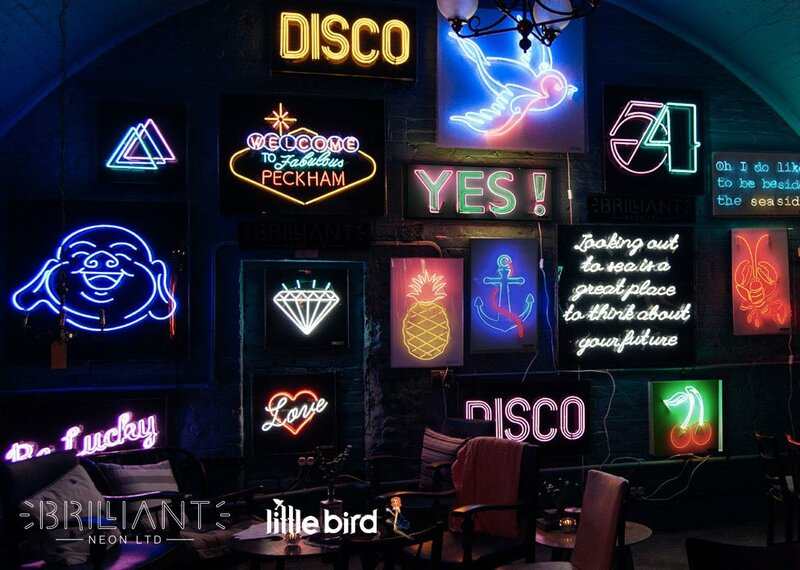 Fab affordable neon with Little Bird Gin cocktail bar. Launch Party: Friday 15th September, 18:00-22:00. All welcome! South London born and bred cocktail strength, small batch gin with seductive pin-grapefruit matched perfectly by fresh juniper, dazzling citrus and luscious, velvety orange peel. Fly down and try our #independentspirit @littlebirdgin.